Sergio Pininfarina, the son of Battista "Pinin" Farina, created some of the most iconic cars in the Ferrari's history. The collaboration began in 1952 and completed a Made in Italy duo that lasted decades. 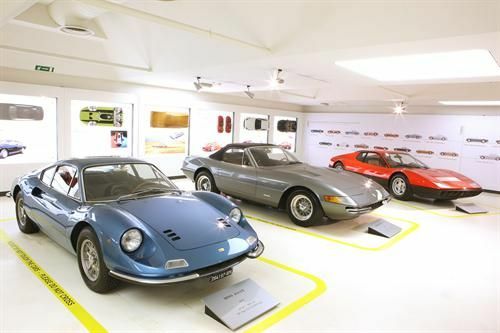 In this gallery, we showcase some of the exhibits at the Great Ferraris of Sergio Pininfarina at Ferrari's Maranello museum. I just saw a pretty gray Dino drive by the other day. That car is ageless. I have a picture of one of the Dino prototype next to a regular one, both blue in this friend's "personal" museum here. Another one that never gets old is the 308. Just saw an early GTS, fiber body and carbs... And that grunt!